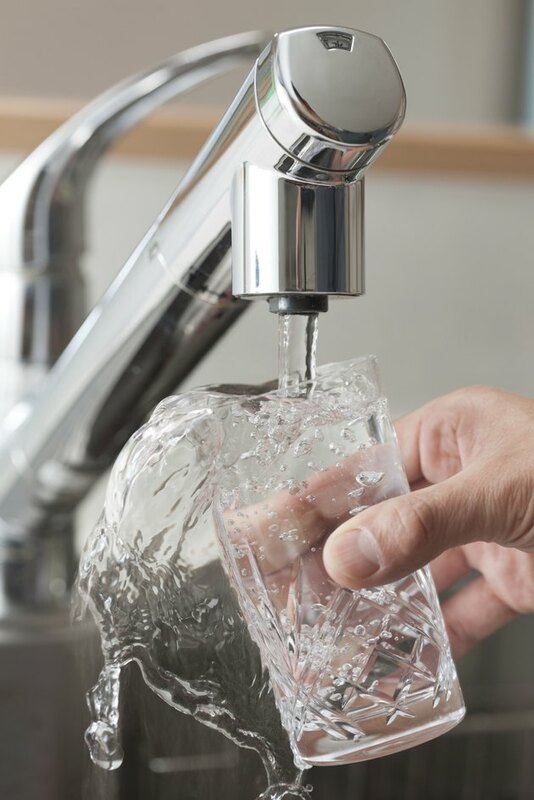 The Environmental Protection Agency, also known as the EPA, states that drinking water contaminants include giardia, cryptosporidium, arsenic, lead, nitrates, pesticides and radium. Bacteria and viruses also contribute significantly to water pollution, according to the EPA. Water purification involves artificial processing with chemicals and complex filtration systems that perform disinfection, ion exchange and distillation. However, the filtration process also may be done using a host of natural treatments. Ultraviolet light provides a natural biological filter for water. Additional artificial exposure to ultraviolet rays creates a purification method for clear filtered water. The Environmental Protection Agency reports that water treated with ultraviolet light protects against "cryptosporidium," a type of "microscopic parasite that lives in the intestine of infected animals and humans," according to the EPA. The advantages of this filtering method include its low cost. Natural sediments filter water by using gravity. The heavier materials in the water settle to the bottom, while the lighter sedimentation floats at higher levels in the fluid. The EPA report, "Water on Tap: What You Need to Know," states that sedimentation filtering is frequently used with flocculation in a process called coagulation filtering. The first step, flocculation, removes larger particles by adding iron salts and alum, or synthetic organic polymers, which bond together to form floc. Once the floc has attracted the large dirt elements to bond with the materials, the water is allowed to be stagnant while the process of sedimentation takes place. The advantages of sedimentation filtering include the low cost. Water filtration using sand offers the option of either slow or pressure processing. Slow processing moves the water through the sand at approximately 2 L per minute. Pressurized sand filtration pumps the water at 40 L per minute through the same amount of sand. The sand offers an inexpensive filter but does little to remove bacteria from the water. The National Drinking Water Clearinghouse fact sheet, "Tech Brief: Slow Sand Filtration," notes that sand filters require large fields for processing, "quantities of filter media, and manual labor for cleaning." The sand must also be cleaned periodically to keep it pure. The fact sheet states that this method of filtration is a "simple and reliable process." Oxidation injects air into the water to filter impurities. Aeration devices capture the water from ponds and divert it into nozzles to shoot the water into the air. Large aeration ponds filter water over time in an expensive process that reduces the amount of odor, as well as dissolving pollution in the form of gases. The EPA states that an advantage to this process is that "contaminants that easily turn into gasses, such as gasoline components and radon, are removed." The downside to this water treatment technique is the amount of pollutants that enter the water from the air around the oxydation ponds. The EPA notes that this process is often combined with other filtering systems to remove contaminants untouched by the aeration.